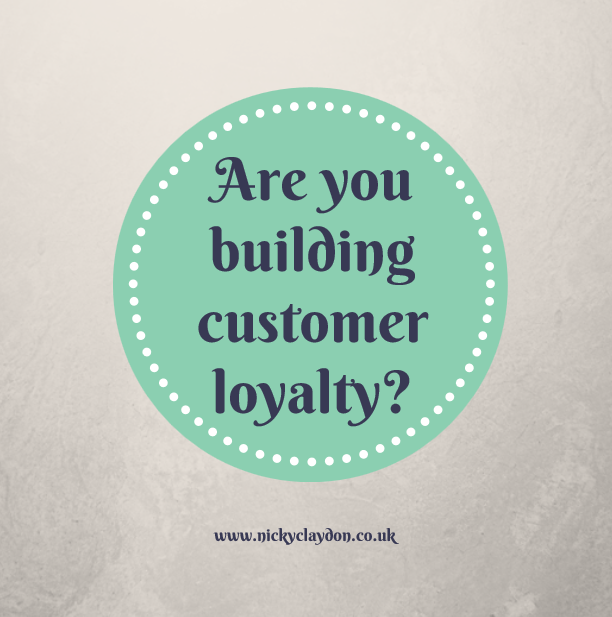 How are you building customer loyalty? 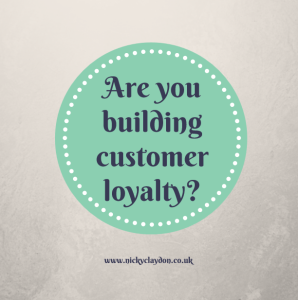 How are you building customer loyalty – is it something you focus on in your business? Are you full of good intentions to follow-up with your prospects, but due to time restraints this often gets overlooked? Instead of looking for new customers, which is a costly expense, why not look after the contacts that you already have and reap the rewards of repeat business and referrals. Relationship marketing is, definitely, one of the best ways to grow your business using your existing contacts who have bought from you previously and are happy with your product/service. Nothing makes people feel more appreciated than receiving a card which is highly personalised by yourself for each individual client. Cards work because often they are unexpected, shows that you care, communicates your message in a way that is almost always well received and will always be opened, as it doesn’t look like junk mail. This type of marketing is also something that not many people do. This will make you stand-out from other businesses, in the same line as you, and make people think of you first. By using a series of cards your contacts will never forget you. Included in the SendOutCards system is a FREE contact manager and e-mail reminder system which sends you an e-mail reminder two weeks prior to any important dates you enter for each contact. It allows you to import your contacts without the need to enter them by hand via a CSV file (a Comma Separated Values file which has specially formatted plain text which stores spreadsheet or basic database-style information). The cards are good quality, high gloss, printed on recycled paper with each stock card incorporating an original created design. 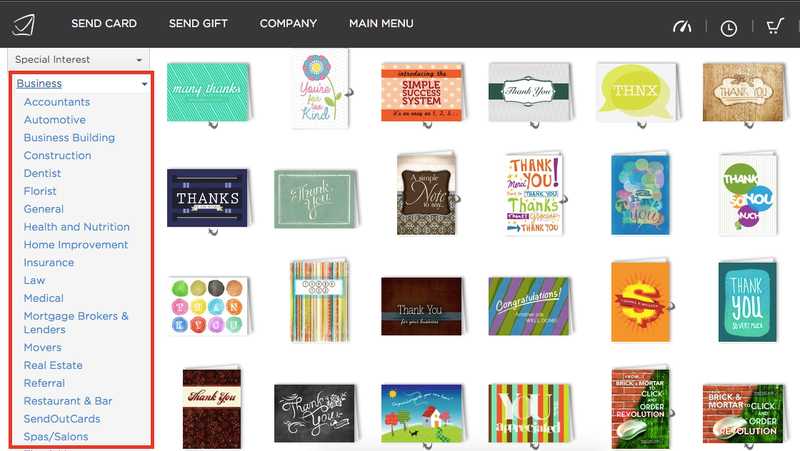 For no additional cost, you can create cards including clipart and your own marketing images/logos. The cards are printed and posted from the US, for less than £1.50 per card including postage, to anywhere in the world, including the UK. If you are posting to an address in the US, Australia or New Zealand, the cost of a card is even cheaper. 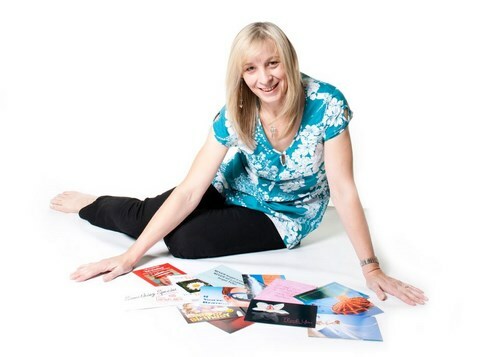 It is as simple as a few mouse clicks to send a card and so easy that even a child can do it and what is even better is that the cards are less than half what you would pay for a quality greeting card at your local greeting card supplier including the postage. So if you’ve made your mind up to put your follow-up on auto-pilot, and would like to use this system, please contact me via e-mail (entering FREE Card Request in the subject line) so that you can get started immediately. You can be up and running relatively quickly, enjoying the benefits of an extremely powerful tool which will have a massive impact on your business. Don’t delay, do it right now, and watch your business relationships grow exponentially!